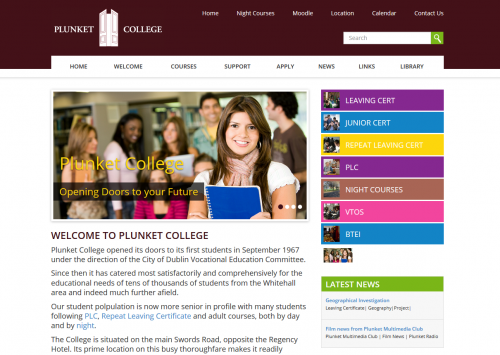 Tony Dunne – Plunket College, Dublin. We selected Enhance.ie to design our new website for us. I wish to thank Sean and Paul for their help and support in this project. We found them professional and more importantly they had a good understanding in what we needed to achieve in the content and design of the website. To date we are very satisfied with the end product.